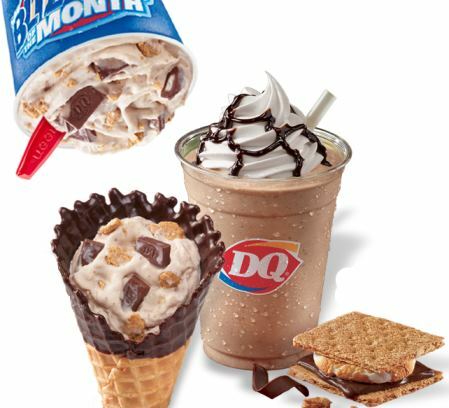 [New for 2014] I know I should be use to it by now, but I just can't get in the habit of remembering that DQ keeps turning their Blizzard of the Month into a Royal shake as well. I'm not knocking it in anyway, I think it's ingenious really, I'm just not use to it yet. Sometimes you want a blizzard but you just don't have 10-15 minutes to stop and eat one. 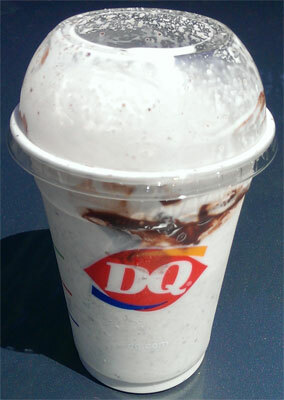 Let's check out the shake version of the most excellent S'mores blizzard. Let's keep this simple. The good great news: We've got ourselves a proper graham shake with an underlying chocolatey current. Do I specifically detect marshmallow? I think so, but it's not standing out or anything. It's just mixed in with all the other flavors (so #3 on the list). 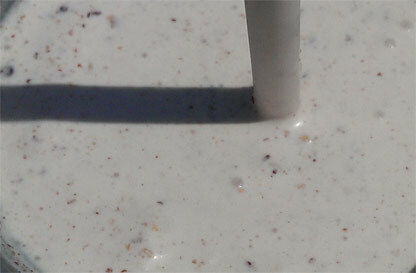 The bad mildly annoying news: As you may have suspected, yes, the graham bits are going to jam your straw now and then. Not a deal breaker, but it does make it a little harder to sip and drive. Overall it's a fun shake for a graham loving fellow such as myself. P.S. Yes, I know it's the last day of June and I apologize for that. The good news is that the S'mores lineup is available through July officially (and maybe August unofficially??). This would actually make sense as the Reese's Peanut Butter Cup Pie blizzard returns for July, so we'll have two graham based blizzards on the July menu. Pretty sure the S'mores are around all summer, and guessing it will be an every summer tradition. This is one blizzard I don't think would be all that good in Royal Shake version. I'm sure the flavor is pretty good, but the best thing about the blizzard are those chocolate pieces, and they'd disappear in the shake. @Sasha: well they were around all last summer and I dont see any reason why they shouldnt be around all of this summer too. it's a good blizzard, I just dont want to say it definitely is without proof... found press release, it's through July.